What is happening to Brett Kavanaugh is a national disgrace that has scared me to my core. It hits home especially hard for me, both because as I become more involved in politics I realize that it could be me, 10 or 20 years from now watching someone from my past I vaguely remember come out of the woodwork to destroy my life; and also because when I was in college, one of my teammates on the football team was falsely accused of sexual assault. His one chance for a better life was playing football in college and graduating with a degree. He was lucky that the truth came out in his court case when the accuser was cross-examined. But for someone to make false accusations for whatever the reason was, and be willing to destroy someone else’s life, is truly evil. The cliché, it makes me sick to my stomach, until now was nothing more than a cliché. But as I sat and watched what has happened to Brett Kavanaugh the last 2 weeks it became hard for me to function. It truly did make me sick to my stomach, thinking about not just what he was going through, but his wife and especially his two daughters, and as far as I can tell he has been an exceptional father to both of them. Of course, all this is predicated on Kavanaugh being innocent, and Kavanaugh could be guilty of what Ford claims. Unfortunately, no one will ever know for sure, but the truly disturbing part of this circus, is the millions that came out right away and believed her, merely from a letter she wrote. A letter she asked to remain anonymous but was instead leaked to the media. How do you believe someone you never met, you never heard speak, you know nothing about them, nothing about their history, their character, their motivation? All you have to go on is a written letter with very little details. To this day there is not any corroborating evidence to support her allegation, merely her story and her testimony. The innocent until proven guilty standard that made America’s legal system one to be revered throughout the world has been thrown out and replaced with “I believe.” That is what this comes down to today. So, as you sit there and decide who you “believe,” I want to point out my unanswered questions that kept me up last night. The first thing that stuck out to me was the difference between the therapist’s journals and Dr. Ford’s first-hand account. The one thing Ford cited as a reason why there weren’t more details was the therapist was logging her patient’s statements during the sessions. Four boys in the room during the event was a very specific detail, which Ford corrected as only 2. It could be she meant 4 boys in the house and not actually the room. Why would the therapist write down such a specific detail and not write down the name of the actual assaulter, if Ford had named him at the time? The next problem is all the holes in the story. Not remembering the exact house, how she got there, or the exact time frame is easily dismissed as not essential details. But it was 1982 and she is 15 years old. Getting home from that house is not as simple as ordering an uber. There are no cell phones, the house is in a neighborhood so there are no nearby pay phones. She said she hid in a bathroom. I would have expected some detail into how she was able to leave the house and get home, as it would have been no easy feat. If she called a cab I would imagine she would remember every second hiding and waiting for a cab to show up. Next, and this is probably the biggest one, is Ford’s high school friend Keyser having no recollection of going to such party or having even met Brett Kavanaugh. Ford’s lawyer said this only further supports her story because for Keyser this party would have been uneventful, which is not exactly accurate. The party being uneventful for the other 3 boys and Kavanaugh is a viable excuse, but not for Keyser. One of either two things had to have happened that would have been eventful for Keyser. The first was that Ford left the party without telling anyone and got out of there. At 15, leaving your female friend alone at a party with 4 boys would have been eventful enough for Keyser to either be upset she got left there or worried about what happened to Ford. The alternative is Ford stayed and went home with Keyser, in which case Ford’s emotional status would have severely changed. Keyser would have seen that something happened, or something was wrong. Either way this would have been eventful enough to warrant Keyser, who is considered a lifelong friend of Ford, to remembering something. I also want to know more about her parents. Were her parents strict with a specific curfew or were they easy going and let her go as she pleases. At 15, I did not just get to go out as I pleased, and I certainly was not allowed to go to parties were drinking was occurring. If Ford was out with Keyser and returned suddenly without Keyser did that set off any bells with her parents. Maybe not, but no one knows. The other evidence that keeps getting cited by the believers is we have eyewitness testimony that Kavanaugh was capable of this because he was an angry drunk and would black out at parties. In Ford’s testimony one of the few things she remembers vividly is Kavanaugh and Judge, the other friend allegedly in the room, laughing. She points that out multiple times. The laughing contradicts Kavanaugh being an angry drunk. 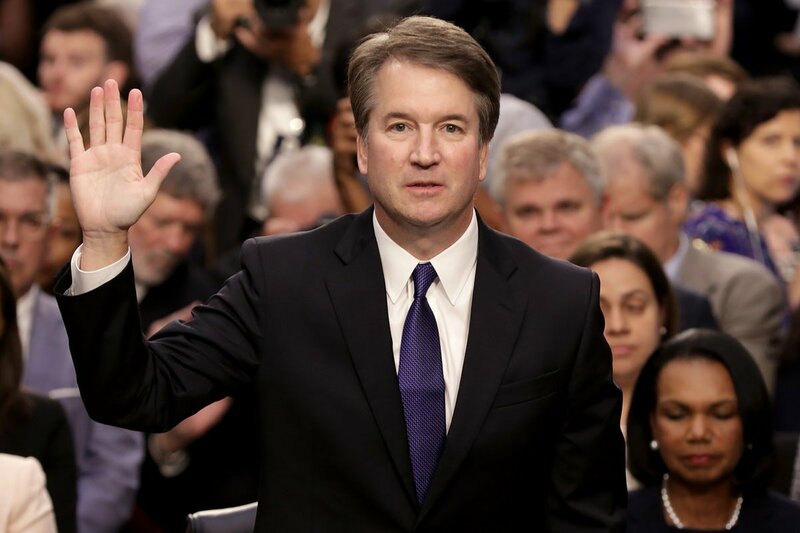 Was Kavanaugh actually, not an angry drunk, or was it a different person that assaulted Ford? There is enough doubt there to question whether Ford’s story actually occurred. That is not to say that she is lying. 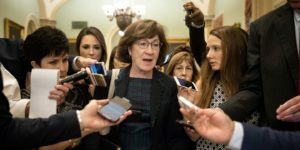 She very well might believe her story down to her very core, but with all doubt surrounding the story with absolutely no corroborating evidence, it is insufficient to decide the fate of Brett Kavanaugh. We must have a higher standard. Otherwise this will lead us down a very dangerous road, and if we continue down this road, one day it will be your father, or your husband, or brother. Sitting on that stand. Defending an allegation that can neither be proven nor disproven. I hope this merely a wake-up call and due process will prevail.